In 2016 Zbyszko Bojanowicz sp. z o.o. S.K.A. 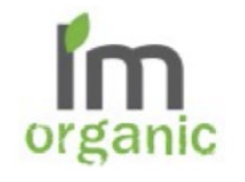 applied to the EUIPO to have the word-figurative mark “I’m organic” registered for goods and services from classes 16, 32 and 42 of the Nice Classification. The EUIPO found that, in this case, conditions under Article 7 par. 1 b) and c) of Regulation No. 207/2009 of 26 February 2009 on the Community trademark existed for which the submission of a word-figurative trademark must be rejected.